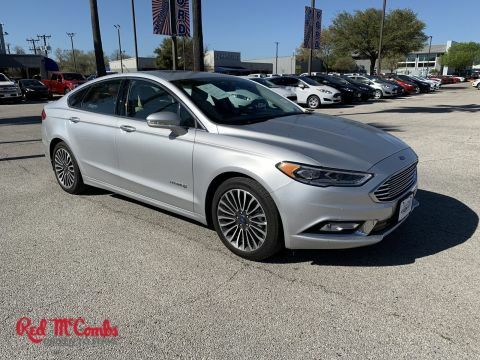 Drivers only for this dominant and agile 2018 Ford Fusion Hybrid Titanium. Savor buttery smooth shifting from the Variable transmission paired with this high output Gas/Electric I-4 2.0 L/122 engine. 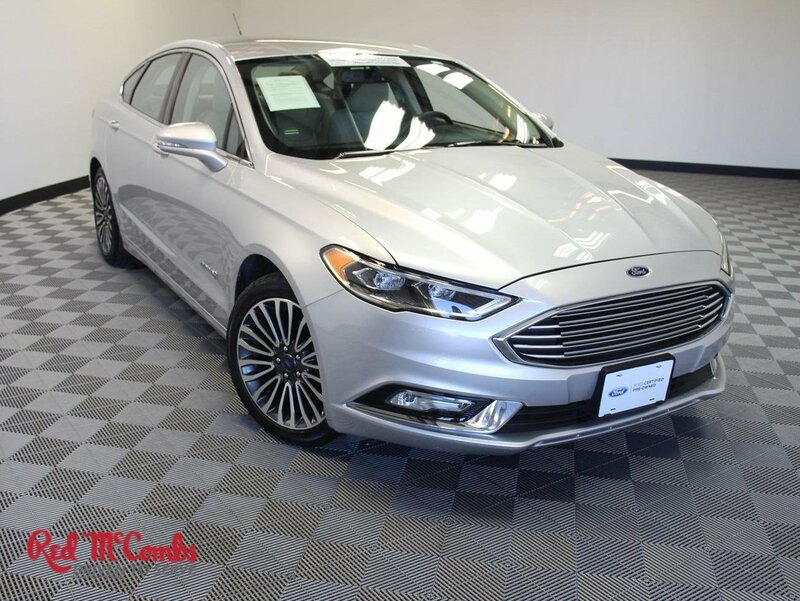 Boasting a mind-blowing amount of torque, this vehicle begs for someone to love it! It comes equipped with these options: Wing Spoiler, Wheels: 18 Machine-Face Aluminum -inc: magnetic-painted pockets, Valet Function, Trunk Rear Cargo Access, Trip Computer, Transmission: E-CVT Automatic, Tires: P235/45R18, Tire Specific Low Tire Pressure Warning, Systems Monitor, and SYNC 3 Communications & Entertainment System -inc: enhanced voice recognition, 8 center LCD capacitive touch-screen, pinch-to-zoom capability, AppLink, 911 Assist and two smart charging USB ports. 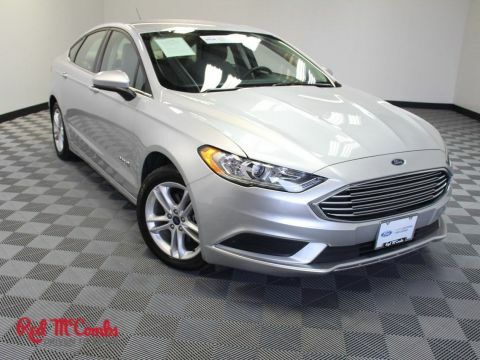 Find excuses for road trips in this fabulous and fun-loving Ford Fusion Hybrid. 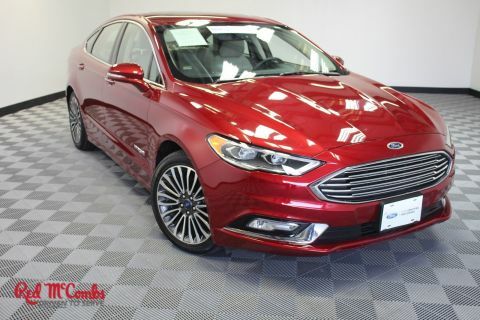 Stop by McCombs Ford West located at 7111 Nw Loop 410, San Antonio, TX 78238 for a quick visit and a hassle-free deal!